Dr Caroline Medi is a cardiologist and electrophysiologist with appointments at Royal Prince Alfred Hospital and The Mater Hospital. Dr Medi graduated from the University of Newcastle, was awarded a FRACP in 2008 and awarded a PhD from the University of Melbourne in 2012. Dr Medi completed specialty training in electrophysiology 2007-2010 at the prestigious Royal Melbourne Hospital, and was appointed a staff electrophysiologist at Royal Prince Alfred Hospital in 2012. 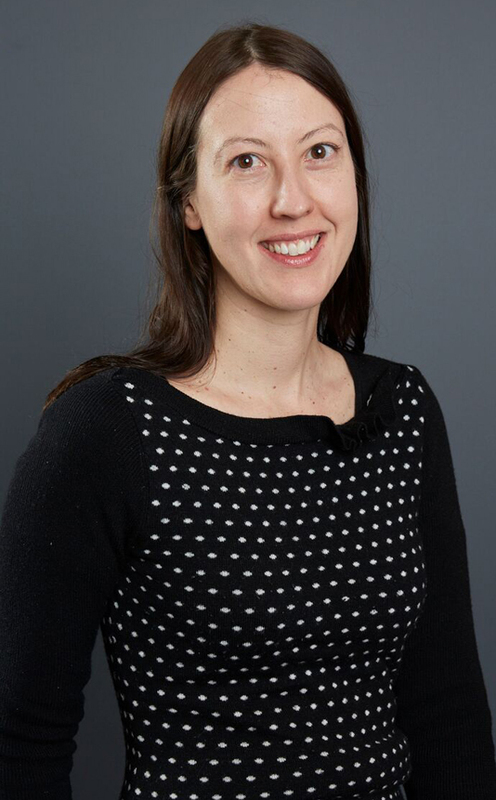 Dr Medi is a clinician-researcher at the Centenary Institute and recipient of a co-funded NHMRC & National Heart Foundation Early Career Fellowship. Dr Medi has clinical and academic interests in inherited arrhythmic heart conditions; implantation of cardiac devices (pacemakers, implantable defibrillators and cardiac resynchronization therapy); complex device management and follow-up; and cardiac ablations. Dr Medi has presented at numerous national and international cardiology conferences. To date, she has authored or co-authored more than 39 scientific publications in peer-reviewed journals. Thoracoscopic surgical ablation versus catheter ablation for atrial fibrillation. Phan K, Phan S, Thiagalingam A, Medi C, Yan TD. Eur J Cardiothorac Surg 2015 May 23 epub ahead of print. New-onset atrial fibrillation following coronary bypass surgery predicts long-term mortality: a systematic review and meta-analysis. Phan K, Ha HS, Phan S, Medi C, Thomas SP, Yan TD. Eur J Cardiothorac Surg 2015 Jan 18 epub ahead of print. Comparing energy sources for surgical ablation of atrial fibrillation: A Bayesian network meta-analysis of randomized, controlled trials. Phan K, Xie A, Kumar N, Wong S, Medi C, La Meir M, Yan TD. Eur J Cardiothorac Surg 2015 Aug;48(2)201-11. Shock-resistant ventricular fibrillation. Ghosh J, McGuire MA, Kilborn MJ, Singarayar S, Medi C, Sy RW. Int J Cardiol 2014 Jun 15: 174(2):e26-8. Prolongation of the QTc interval predicts appropriate implantable cardioverter- defibrillator therapies in hypertrophic cardiomyopathy. Gray BG, Ingles J, Medi C, Semsarian C. JACC Heart Fail 2013 Apr; 1(2):149-55. Late positive flecainide challenge for Brugada syndrome. Gray B, McGuire MA, Semsarian C, Medi C. Heart Rhythm 2014 May; 11(5):898-900. Diffuse ventricular fibrosis is a late outcome of tachycardia-mediated cardiomyopathy after successful ablation. Ling LH, Kalman JM, Ellims AH, Iles LM, Medi C, Sherett C, Kaye DM, Hare JL, Kistler PM, Taylor AJ. Circ Arrhythm Electrophysiol 2013 Aug;6(4):697-704. Sinus rhythm restores ventricular function in patients with cardiomyopathy and no late gadolinium enhancement on cardiac magnetic resonance imaging who undergo catheter ablation for atrial fibrillation. Ling HL, Taylor AJ, Ellims AH, Iles LM, McLellan AJ, Lee G, Kumar S, Lee G, Teh A, Medi C, Kaye DM, Kalman JM, Kistler PM. Heart Rhythm 2013 Sep; 10(9)1334-9. Medi C, Roberts-Thomson KC, Teh AW, Kistler PM, Morton JB, Kalman JM. Right Atrial Remodeling is more Advanced in Patients with Atrial Flutter than with Atrial Fibrillation. J Cardiovasc Electrophysiol (accepted for publication 29 Mar 2012). Medi C, Kalman JM, Ling LH, Teh AW, Lee G, Lee G, Spence S, Kaye DM, Kistler PM. Atrial Electrical and Structural Remodeling Associated with Longstanding Pulmonary Hypertension and Right Ventricular Hypertrophy in Humans. J Cardiovasc Electrophysiol 2012 Jan 23 (epub ahead of print). Medi C, Sparks PB, Morton JB, Kistler PM, Halloran K, Rosso R, Kumar S, Vohra JK, Kalman JM. Pulmonary Vein Antral Isolation for Paroxysmal Atrial Fibrillation: Results from Long-Term Follow-Up. J Cardiovasc Electrophysiol 2011;22(2):137-41. Teh AW, Kistler PM, Lee G, Medi C, Heck PM, Spence SJ, Morton JB, Sanders P, Kalman JM. Long-term effects of Catheter Ablation for Lone Atrial Fibrillation: Progressive Atrial Electroanatomic Substrate Remodeling Despite Successful Ablation. Heart Rhythm 2011 (epub ahead of print). Teh AW, Kistler PM, Lee G, Medi C, Heck PM, Spence SJ, Morton JB, Kalman JM. Electroanatomic Remodeling of the Left Atrium in Paroxysmal and Persistent Atrial Fibrillation Patients without Structural Heart Disease. J Cardiovasc Electrophysiol 2011 (epub ahead of print). Teh AW, Kalman JM, Lee G, Medi C, Heck PM, Ling LH, Kumar S, Spence SJ, Morton JB, Kistler PM. Electroanatomic Remodeling of the Pulmonary Veins Associated with Age. Europace 2012;14(1):46-51. Medi C, Kalman JM, Spence S, Teh AW, Lee G, Bader I, Kaye DM, Kistler PM. Atrial Electrical and Structural Changes Associated with Longstanding Hypertension in Humans: Implications for the Substrate for Atrial Fibrillation. J Cardiovasc Electrophysiol 2011;22(2):1317-24. Teh AW, Kistler PM, Lee G, Medi C, Heck PM, Spence SJ, Sparks P, Morton JB, Sanders P, Kalman JM. The Relationship Between Complex Fractionated Electrograms and Atrial Low-Voltage Zones During Atrial Fibrillation and Paced Rhythm. Europace 2011;13(12):1709-16. Teh AW, Kistler PM, Lee G, Medi C, Heck PM, Spence SJ, Morton JB, Sanders P, Kalman JM. Electroanatomic Properties of the Pulmonary Veins: Slowed Conduction, Low Voltage and Altered Refractoriness in Atrial Fibrillation Patients. J Cardiovasc Electrophysiol 2011;22(10):1083-91. Lee G, Kalman JM, Vohra JK, Teh AW, Medi C, Ling LH, Kistler PM. Dissociated Pulmonary Vein Potentials Following Antral Pulmonary Vein Isolation for Atrial Fibrillation: Impact on Long-Term Outcome. Heart 2011;97(7):579-84. Teh AW, Medi C, Lee G, Rosso R, Sparks PB, Morton JB, Kistler PM, Halloran K, Vohra JK, Kalman JM. Long-term Outcome Following Ablation of Atrial Flutter Occurring Late After Atrial Septal Defect Repair. Pacing Clin Electrophysiol 2011;34(4):431-5. Kumar S, Sutherland F, Rosso R, Teh AW, Lee G, Heck PM, Feldman A, Medi C, Watt S, Garg ML, Sparks PB. Effects of Chronic Omega-3 Polyunsaturated Fatty Acid Supplementation on Human Atrial Electrophysiology. Heart Rhythm 2011;8(4):562-8. Medi C, Chew DP, Amerena J, Coverdale S, Soman A, Astley C, Rankin J, Brieger DB. An Invasive Management Strategy is Associated with Improved Outcomes in High-Risk Acute Coronary Syndromes in Patients with Chronic Kidney Disease. Intern Med J 2010. Medi C, Hankey GJ, Freedman SB. Stroke Risk and Antithrombotic Strategies in Atrial Fibrillation (Review). Stroke 2010;41(11):2705-13. 24. Lee G, Sparks PB, Morton JB, Kistler PM, Vohra JK, Medi C, Rosso R, Teh AW, Halloran K, Kalman JM. Low-Risk of Major Complications Associated with Pulmonary Vein Antral Isolation for Atrial Fibrillation: Results of 500 Consecutive Ablation Procedures in Patients with Low Prevalence of Structural Heart Disease from a Single Centre. J Cardiovasc Electrophysiol 2011;22(2):163-8. Rosso R, Medi C, Teh AW, Hung TT, Feldman A, Lee G, Mond HG. Right Ventricular Septal Pacing: A Comparative Study of Outflow and Mid Ventricular Sites. Pacing Clin Electrophysiol 2010;33(10):1169-73. Teh AW, Kalman JM, Medi C, Rosso R, Balasubramaniam R, Lee G, Halloran K, Sparks PB, Morton JB, Vohra JK, Kistler PM. Long-Term Outcome Following Successful Catheter Ablation of Atrial Tachycardia Originating from the Pulmonary Veins: Absence of Late Atrial Fibrillation. J Cardiovasc Electrophysiol 2010;21(7):747-50. Snowdon RL, Balasubramaniam R, Teh AW, Haqqani HM, Medi C, Rosso R, Vohra JK, Kistler PM, Morton JB, Sparks PB, Kalman JM. Linear Ablation of Right Atrial Free Wall Flutter: Demonstration of Bidirectional Conduction Block as an Endpoint Associated with Long-Term Success. J Cardiovasc Electrophysiol 2010;21(5):526-31. Rosso R, Sparks PB, Morton JB, Kistler PM, Vohra JK, Halloran K, Medi C, Kalman JM. Vagal Paroxysmal Atrial Fibrillation: Prevalence and Ablation Outcome in Patients without Structural Heart Disease. J Cardiovasc Electrophysiol 2010;21(5):489-93. Rosso R, Teh AW, Medi C, Hung TT, Balasubramaniam R, Mond HG. Right Ventricular Septal Pacing: The Success of Stylet-Driven Active-Fixation Leads. Pacing Clin Electrophysiol 2010;33(1):49-53. Teh AW, Medi C, Rosso R, Lee G, Gurvitch R, Mond HG. Pacing from the Right Ventricular Septum: Is there a Danger to the Coronary Arteries? Pacing Clin Electrophysiol 2009;32(7):894-7. Medi C, Montalescot G, Budaj A, Fox KA, Lopez-Sendon J, FitzGerald G, Brieger DB; GRACE Investigators. Reperfusion in Patients with Renal Dysfunction after Presentation with ST-Segment Elevation or Left Bundle Branch Block: GRACE (Global Registry of Acute Coronary Events). JACC Cardiovasc Interv 2009 Jan;2(1):26-33. Medi C, Kalman JM, Haqqani H, Vohra JK, Morton JB, Sparks PB, Kistler PM. Tachycardia-mediated Cardiomyopathy Secondary to Focal Atrial Tachycardia: Long- Term Outcome After Catheter Ablation. J Am Coll Cardiol 2009 May 12;53(19):1791-7. Medi C, Kalman JM, Freedman SB. Supraventricular Tachycardia (Review). Med J Aust 2009;190(5):255-60. Medi C, Mond HG. Right Ventricular Outflow Tract Septal Pacing: Long-Term Follow-Up of Ventricular Lead Performance. Pacing Clin Electrophysiol 2009 Feb;32(2):172-6. Snowdon RL, Balasubramaniam R, Haqqani H, Medi C, Kalman JM. Upper Loop Reentry Post Mitral Valve Repair. J Cardiovasc Electrophysiol 2008 Dec;19(12):1325-6. Medi C, Kalman JM. Prediction of the Atrial Flutter Circuit from the Surface Electrocardiogram (Review). Europace 2008;10:786-796. Medi C, Hankey GJ, Freedman SB. Atrial Fibrillation (Review). Med J Aust 2007;186(4):197-202. Medi C, Berglund L (co-authors), Freedman SB. How to treat Atrial Fibrillation (Review). Australian Doctor 2003 Oct 3; 29-36.